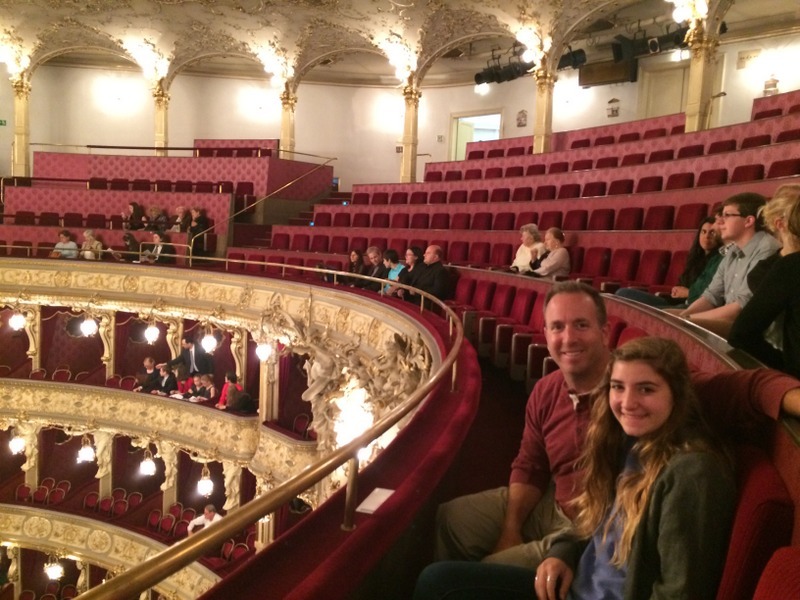 Before we arrived in Prague we were told that the music and opera were must sees for us by multiple people. So, when we arrived we looked into options for both. We searched online and found a few options for the opera, including Hansel & Gretel, The Marriage of Figaro, Don Giovani and Turandot. It turned out that the one that we chose was Turandot, which was sung in Italian with subtitles in Czech and English. 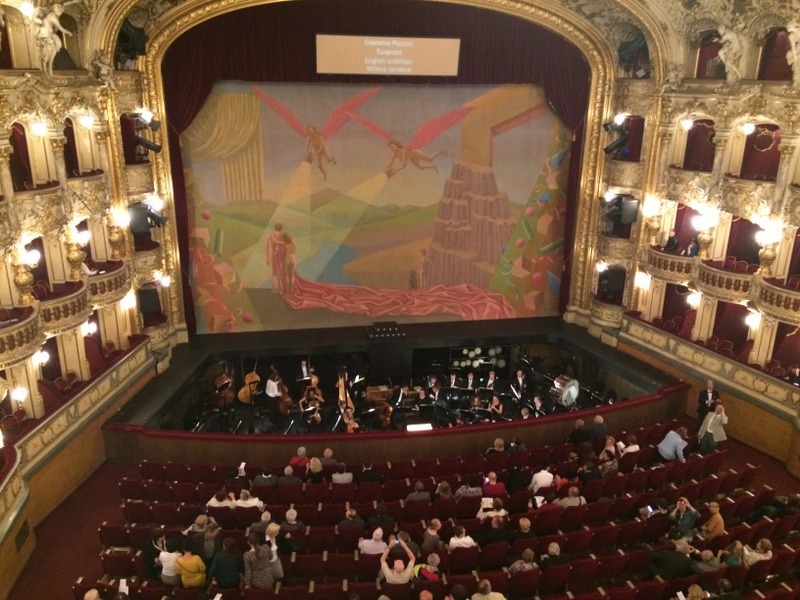 In addition, we chose this because it was being performed at the famous Prague State Opera House. We arrived at the Opera House about an hour before the show started and sat in the park across the street just relaxing. We went in about 30 minutes before the show and found our seats, which were first row second balcony. 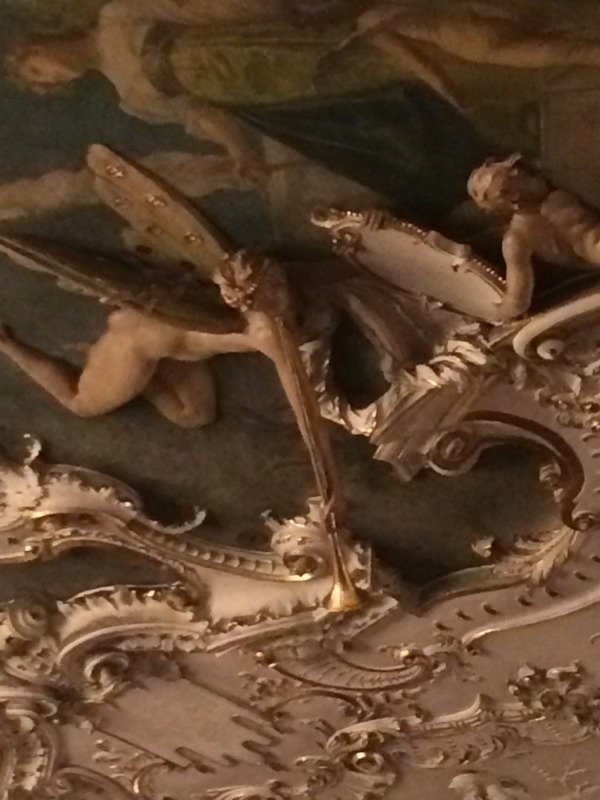 The Opera House was huge, with intricate decorations on the ceiling, some of it 3D. The boxes on the floors below were beautifully designed and the orchestra pit and stage were large and easy to see. The translation was on a large screen in the middle of the stage on top of the curtain. The performance takes place in China and has 3 acts. The first act is all about Turandot, the beautiful princess, and all of the suitors that want to marry her. In order to gain Turandot’s love one needs to answer 3 riddles. Dozens of princes have tried, and if you get any of the riddles wrong you must die. It turns out that a young prince, named Calaf, falls in love with Turandot and decides to solve the riddle, much to his family’s defiance, believing he would die. Calaf solves the riddles but Turandot still does not want to marry him. Calaf offers the princesses a way to get out of the situation, if she can tell him his own name by sunrise, Calaf will kill himself and her problem is solved. It turns out that only two people know his name, his father and her servant, Liu. All along Liu has been in love with Calaf, which is why she has been so good to his father. In the final act Liu takes her own life to protect Calaf’s name, saying she is the only one who knows it and instead of telling the princess she would rather die. In the end, Calaf tells the princess his own name, kisses her and the princess falls in love with him. Happy ending for Calaf and Turandot, but not so happy for Liu 😦 We all enjoyed the performance, which lasted for 2 hours and 45 minutes including intermission. It was a bit long, but that is true of most operas. The singing was amazing and having the subtitles really helped. I believe Drew really enjoyed herself, which is great. 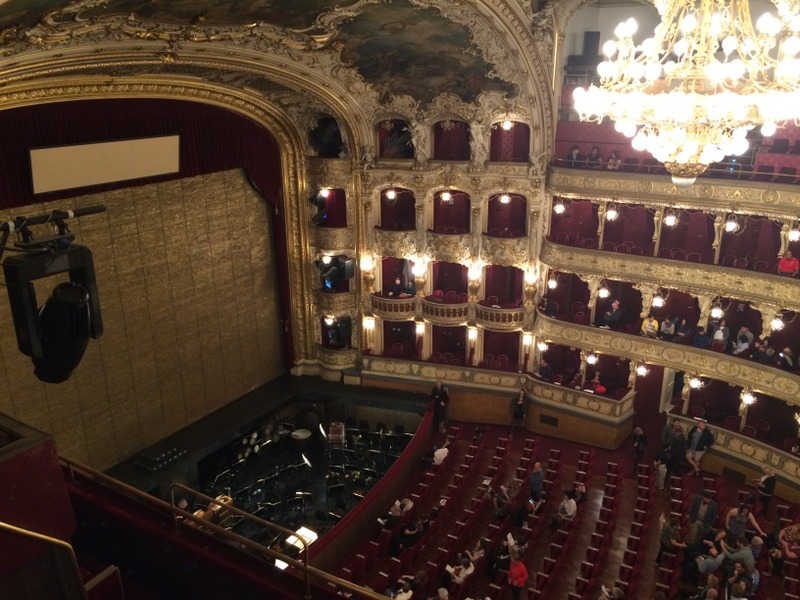 To see your first opera in one of the most famous opera houses in the world is pretty cool as well.